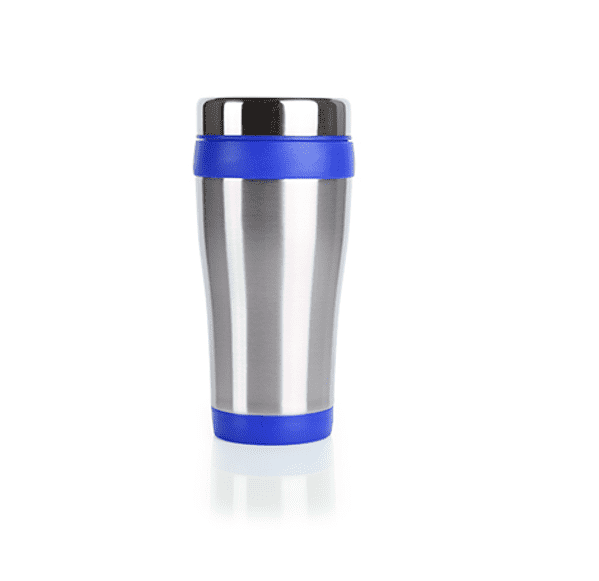 Classic shaped 16 oz. 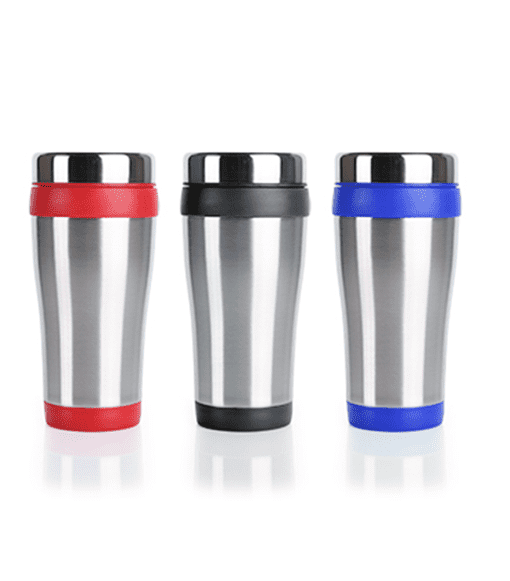 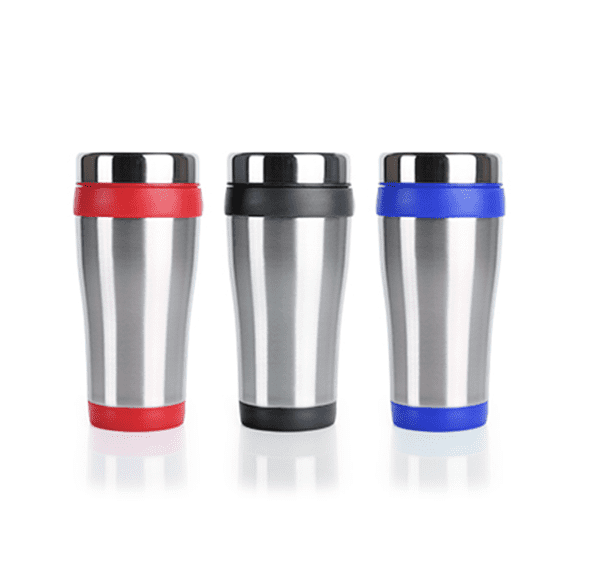 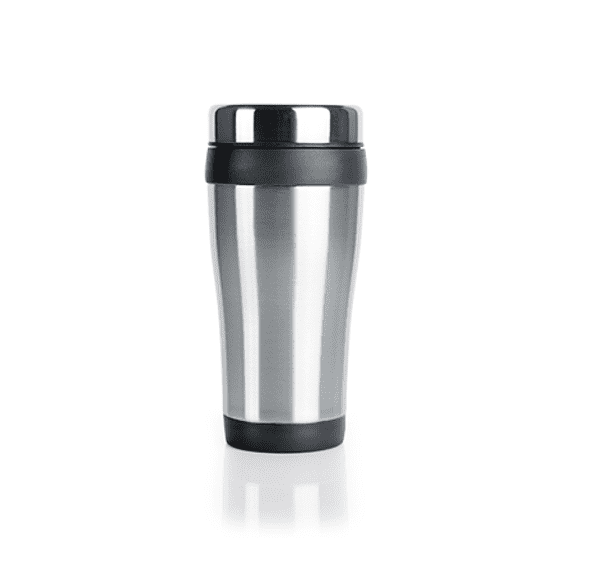 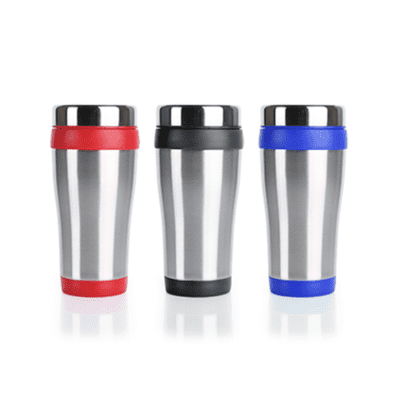 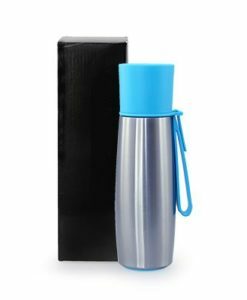 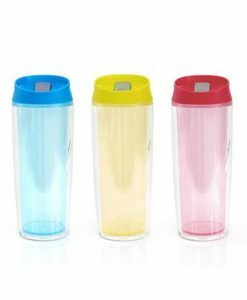 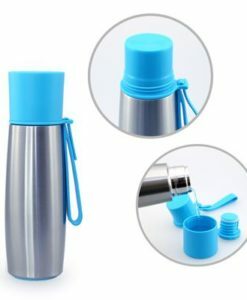 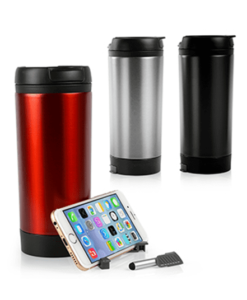 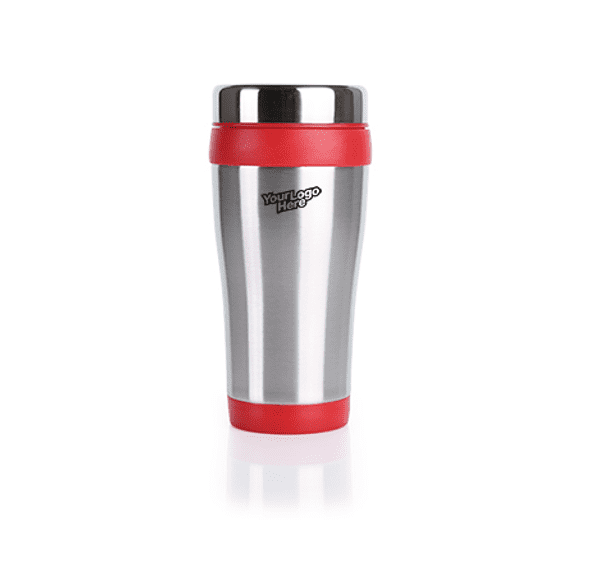 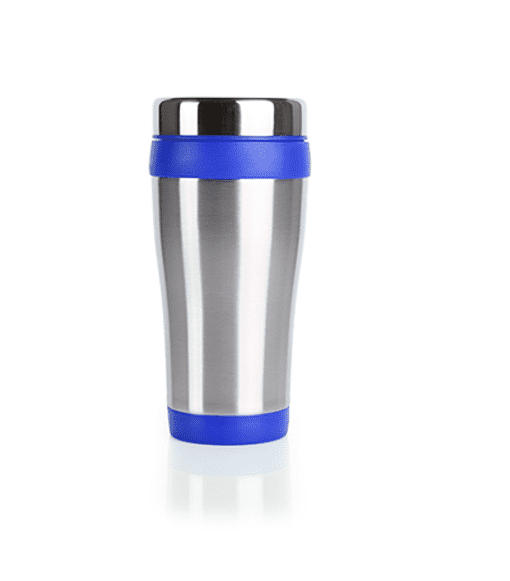 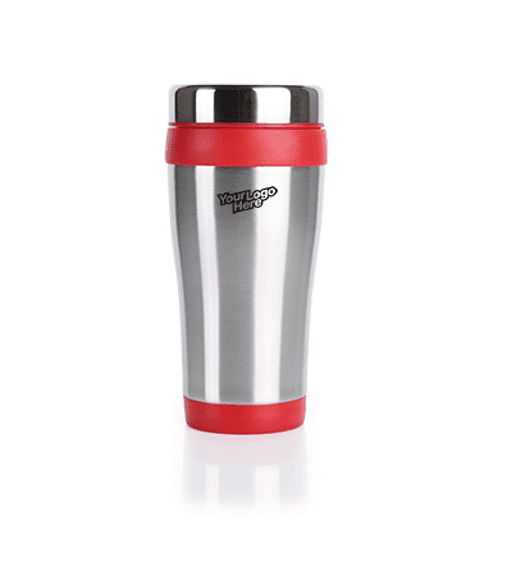 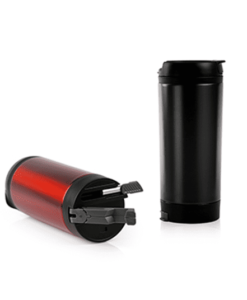 (473 mL) double wall insulated travel tumbler with stainless steel exterior and BPA-Free plastic interior. 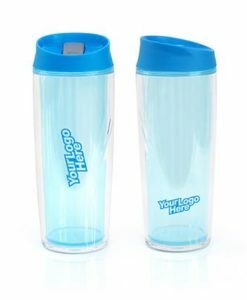 Accent color band with matching color thumb slide plastic lid. 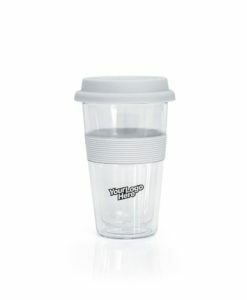 Fits most automobile cup holders. 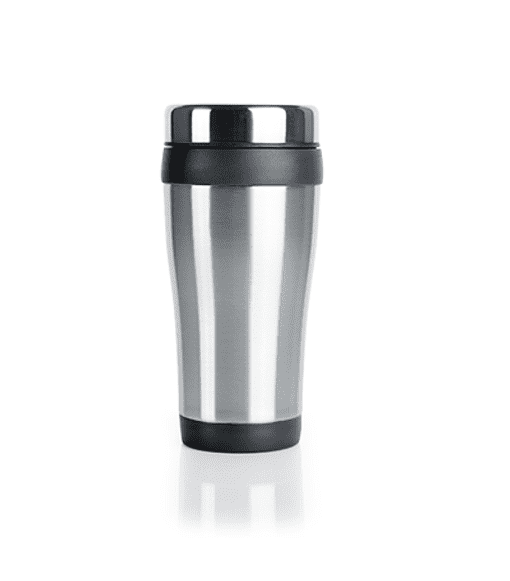 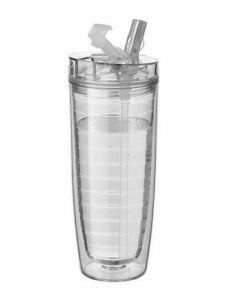 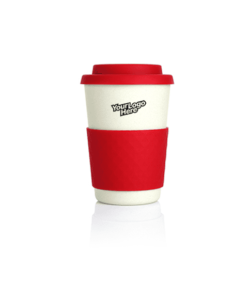 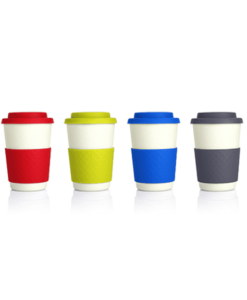 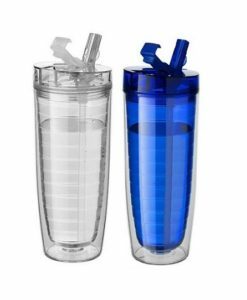 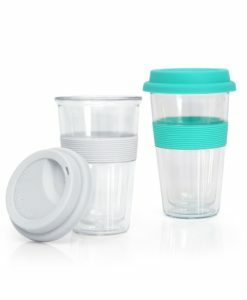 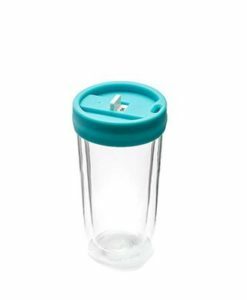 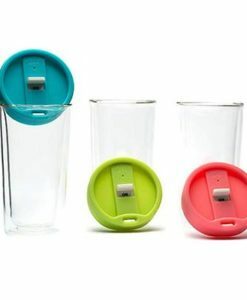 Material: Stainless steel exterior and BPA-Free plastic interior.